Certificated courses in the UK for all levels: from beginners to advanced practitioners. From January to April 2016 the Sound Healing Academy ran a new online Level 1 Foundation Certificate in Sound Healing Multi Instrument Course. What are your honest feelings and feedback about this Class? I really enjoyed this class. 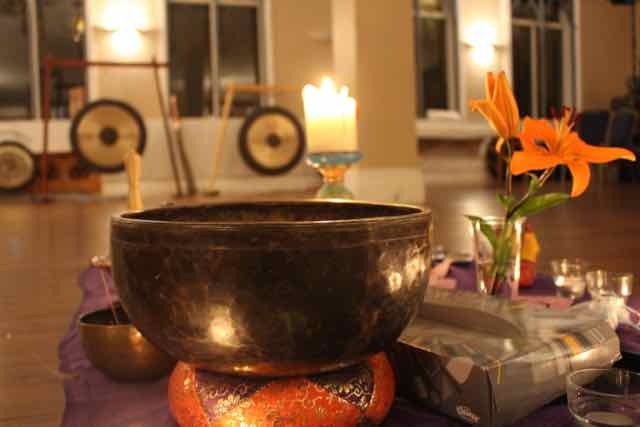 I learned a lot and now have a sound healing practice that is incredibly powerful and healing to share with my clients and friends. How did you find the online learning portal? Was it easy to navigate and find what you wanted? Did you like the look and feel of it? Any other comments? The online portal was simple to use and was laid out well, no complaints, one of the best online trainings I have taken! How have you found the exercises, video tutorials, audio recording, handbook, and support provided? I found all of the course materials extremely helpful and educational. The handbook is well put together and informative. It was wonderful to connect with Janice my Sound Healing Tutor! What if anything would you recommend we change to improve the Class? I honestly can’t think of anything I would change. I loved this course, I learned a lot and hope to continue to the next phase when it is offered. I honestly thought it was great! I'm very excited to do level two and become a practitioner. The delivery is simple, to the point and easy to understand. I found everything easy, the set up is clear and you responded quickly to questions and emails. You give the feeling of being connected without being in the room. I honestly can't fault you with anything. Loved it! This class was very practical and straightforward, with a lot of solid, useful information. I’m by no means a beginner to sound healing so much of the material in this course I already knew pretty well. But there were plenty of things I didn’t. And new and different techniques for playing. It’s a perfect introduction course. Was it easy to navigate and find what you wanted? Yes very easy to navigate. Did you like the look and feel of it? Yes it looked very nice and up to date. But the light and color in the videos themselves are what's really great. I wish I had an awesome sunroom to play sound in all day! How have you found the exercises, video tutorials, audio recording, handbook, and support provided? I love to read about interesting stuff like this, so I think the handbook could be a little longer maybe and pack a little more information in there. That would be my only suggestion. But everything looked/sounded great. What if anything would you recommend we change to improve the Class? I wouldn’t change anything! It’s a perfect intro. I thought this course was very easy to follow and the two webinars were well put together. I realize how difficult it must be to coordinate the webinars so that most people can watch live and I appreciated that this could happen.The videos of working with the sound instruments were great and the option for comments at the end was also a great feature. Also appreciated were the prompt and helpful replies. I have loved this course from start to finish. 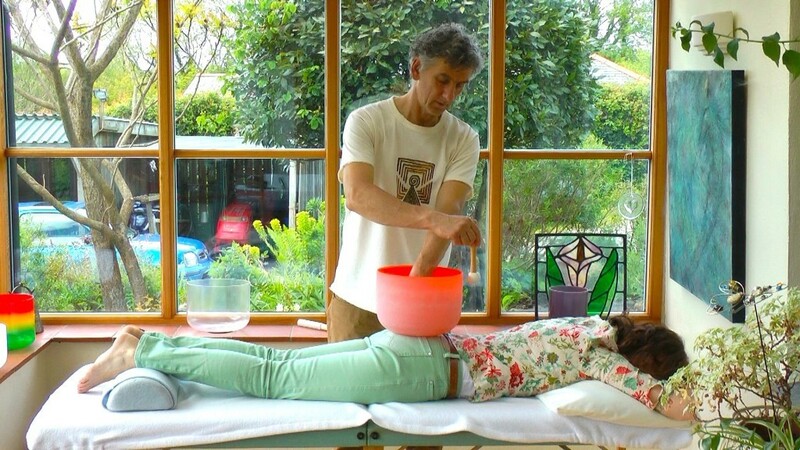 I have found everyone concerned with making this course happen to be very helpful and obliging, both Tony and Jane, and I have recently had the pleasure of meeting Anne, the Australian arm of the Sound Healing Academy. I found her warmth and enthusiasm inspiring and I hope to be able to take part in one of her courses in the near future. What are your honest feelings and feedback about this course? Fantastic! This course was everything that I had hoped it to be and far more! I feel as though I have a great foundation and understanding of the world of therapeutic sound of which I am now ready to build upon. I am so pleased that I have pursued this course as I feel that I have been able to learn in a way that has really worked for me. The mix of practical and written exercises, along with the videos and course book, and the online and telephone support has proved to be a great learning experience. How did you find the online learning portal? I found the online learning portal excellent! As someone who trained in design for 4 years and then over the years studied in various therapeutic fields, all of which were attendance only learning, I had honestly never considered using online training. My previous misconception that attendance only training was really the only way to go has now been completely turned around by your online training course! Far from feeling that I have missed out by not attending a course, I feel very much that I have got more out of it by following the online route, in that I can repeat videos over and over. Something of which we can’t do in a ‘live’ class! I think the fact that you offer an attendance course which has the same access to all of the online content of videos too is the perfect combination. Knowing that I can attend a course in person and still have the same access to all of the supporting videos that I would if I were purely doing it online, is great! Was it easy to navigate and find what you wanted? Yes I found it really easy and very clear to navigate and find what I wanted. Did you like the look and feel of it? I particularly liked the way in which everything was set out. First impressions were that this was very professionally presented and had a really positive and vibrant feel about it, which in my mind creates a great environment of which to learn. Intentional or not, I have to say too that I loved the background sound of the birds and the possible rooster I could hear? This along with the background setting of the branches of the trees gently moving in the wind all added to the lovely natural feel of the online presentations. In my own line of work, delivering various creative and mind body connection workshops, I have had people say to me that “you’re your work” and that first and foremost it’s about me engaging with people. If people are connected to me, then in turn I will be able to work with more people. My passion has always been to support people, of all ages, in one way or another and because it is a passion, I get an awful lot out of it and really enjoy connecting with people, which I felt from watching your videos is very true for you Tony. On initially Googling sound therapy courses, it led me to find some of your presentations on YouTube. For me what immediately jumped out was your own individual personality. I feel that the likeability factor is a big part of people’s decision making process and I think first and foremost there has to be a connection. It’s very difficult to learn from someone that you’re not connecting with! Your clear and engaging style of presenting, along with a great passion and depth of knowledge for this subject area really comes across. I have also watched a video where Jane has co-presented too and again the same is true for Jane. So I feel very much that the saying “you’re your work” is very true for you. I think the videos that you send out to show what’s included in your courses are great because not only do they give people a great insight into the course content, but importantly allows people to connect with their potential tutor and that’s a real plus point in marketing your courses and along with my first impression of your YouTube videos, was also what I based my decision to study with you upon. To be able to go back and watch something several times over is of great value, unlike training that is attendance only. Being able to repeat a section really enriches the learning experience and has completely changed my views of online training. Having seen some of the online videos on YouTube, I particularly liked the way in which the information was presented; hence I was expecting great things! I have to say that this course has really exceeded my expectations. It has been a wonderful learning journey and I am really impressed with the standard of the content and the way in which it has all been put together and presented. Extremely high quality learning which was supported by having the ongoing help along the way through being able to ask questions as and when they came up. What if anything would you recommend we change to improve the course? I have to be truly honest here when I say that there is genuinely nothing that I can suggest to improve upon the course. If something already works as perfectly as this clearly does, then I would say, keep it as it is! The course content is absolutely fantastic! Thank you for such a great learning experience! I truly enjoyed the course. Besides learning of the physical properties of sound, the emotional content and intention is important, taking this experience beyond the “ evidence based” world of science and physics of sound. I enjoyed the variety of sounds that was introduced, and because of the truly positive experience I will consider doing the diploma when financially appropriate. How did you find the online learning portal? The online portal was easy to navigate. Was it easy to navigate and find what you wanted? Yes and encouraging advice along the way was very helpful. I think it was a good mix between videos, reading and audios and I felt the practical component was well explained to make it the best learning process. Thank you for motivational comments along the way. I think the “comments” was a good way to reflect onto yourself how you are doing. I have absolutely loved this course. The content online, through the teaching instruction videos, the audio downloads and the webinars was exceptional. A lot of information with a nice balanced amount of spiritual and scientific information. The online portal was very easy to navigate and I was able to find what I wanted easily. Everything that is provided in this online course, is clear, easy to understand, full of stimulating information, if this is your interest. The ability to ask questions and to receive an answer so promptly is a very supportive element, especially as you are able to see questions by other students, as if in a real class setting. I really enjoyed this training. It was the perfect balance of videos, handouts, workbook and information that I needed in order to enhance the training that I already had in sound therapy. The videos were bright, cheerful and clear. Tony and Jane bring a calm sense of humour and awareness. I felt like I was getting exactly what I needed and I like that the videos were all between 5 and 10mins for the instruments. I could return to them if I needed review and was able to practice between the lessons. I would definitely like to go to Bath for the full practitioner training program at some point in the near future. It was excellent. As a graphic artist I was very impressed with the interface and design. I like the length of videos and the layout was easy to navigate. I like that I knew which ones I had viewed by the “Completed” buttons and I like that each one had little downloads of tracks and/or charts of reference. All of the elements of the training were excellent (see above comments). I have done some sound training in my Spiritual Director training as well as in my yoga training but this foundation was amazing! It was just what I needed to have a deeper foundation and the workbook was helpful to keep my practice going and tune-in to new methods of using the instruments that I had never used before. The videos are an excellent resource for me to compare and learn from visuals instead of reading books or filling my mind with lots of intellectual and factual things that I couldn’t relate to. This online training made me feel like I was in the room with Tony and Jane. I quite liked the layout of the class work and wouldn’t change anything. I like that there were mini sections on each instrument and then ones that pulled it all together. There was a nice balance of workbook, hands-on exploration and videos. I feel blessed that I discovered your course. I had been searching and searching and this is exactly what I was looking for, exactly when it was supposed to happen! It feels like a perfect fit and I am excited to continue on to level 2. I am committed to sound healing to benefit others and the level 1 course is extremely well put together, easy to understand, and I will continue to refer back to the modules. Very easy to use. It is nice that I can leave a comment and get feedback. I really think that this course was awesome! I really enjoyed it. Very informative! Lots of very helpful information. It was really easy to navigate through the portal everything was easy to find. It was well structured. Not confusing. I really enjoyed everything about the course. Everything was great, easy to navigate, fun, informative, clear and down to earth. No complaints. Everything was awesome. Thank you for putting on this online course I really had fun!! I feel this course is very informative and well taught. I was most worried about the vocal toning and even procrastinated watching the videos. But, once I watched this series of videos and actually tried it, I was surprised by how well it worked for me. The online portal is the only way I was able to learn this. I think it is a wonderful way to reach out to those who are interested. The videos and web site are very organized and well put together. Navigation was easy. I liked the check mark feature on all the videos. It was an easy way for me to pick up where I had left off. The online portal is uncomplicated- making time for learning the course rather than how the website works. The handbook was also well put together. I printed it out for a hard copy. I liked the short videos and audits. I liked that I only had to watch a short video and could get right into trying it. The look and feel is good. It is designed to be simple and accessible for the user. It was. I would have liked to hear all the audio combined as well as separate. I enjoyed these practices with friends. I feel it’s very useful before I’m going out. I really love this online learning portal. It really suits best for my situation at this moment. I was not sure if I’d like to go any further studies with sound healing. By taking online course, it gives me a better idea on how far I’d like to go. The portal is easy to navigate. I love the look and feel of it. I really like it and wouldn’t change for anything else. It’s simple and directive. I love the simplicity of it. The exercises, video tutorials and support are excellent. It obviously well planned, well thought. The audio recording is quite challenging because I have experienced the life sound vibration of crystal bowls and tuning fork – and it can’t be replaced with life sound vibration. The handbook is useful –at the same time, I’m happy that I have purchased other books that you have suggested. It helps by reading additional book. None – I truly appreciate this online learning set up. It gives the flexibility for people who has to work other job. 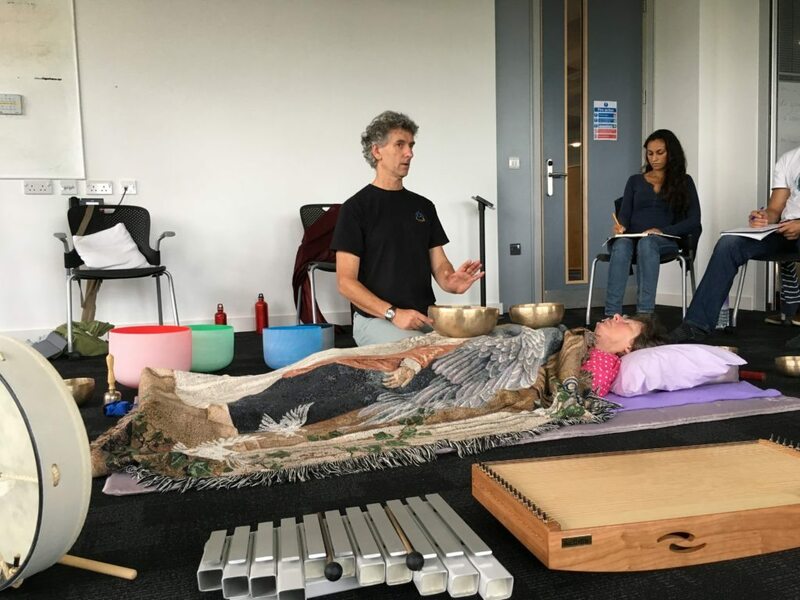 When you join our Level 2 Practitioner Diploma in Sound Healing Multi Instrument course for working 1-2-1 with clients, you will need to have a set of sound healing instruments to be able to work professionally. This post covers what you’ll need. There are Modules covering the 6 main instruments. You are required to complete the workbooks for 4 out of these 6 Modules, though you are welcome to complete the workbooks for all 6 Modules if you wish. 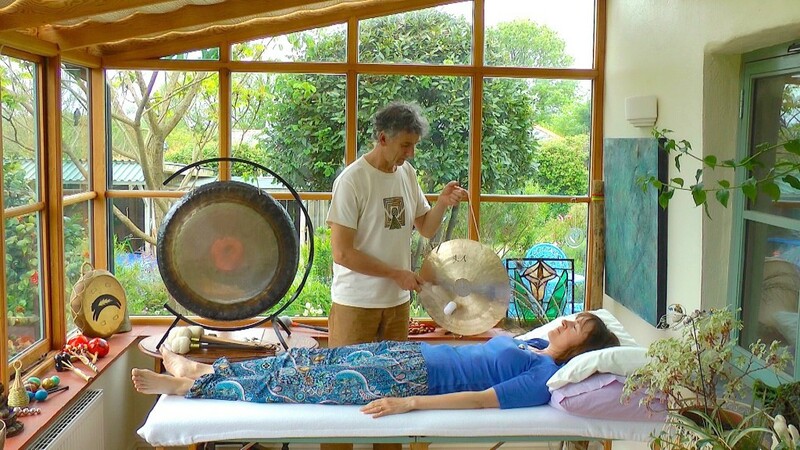 Therefore the sound healing you require for this course, depend on which instruments you want to work with. You’ve got it already, so nothing extra required! We are happy to help you purchase these instruments, and we offer many of them at a discount price to people taking this course. Join our Level 1 Tuning Fork Course today! Learn to work effectively with tuning forks to help yourself and others: your family and friends. 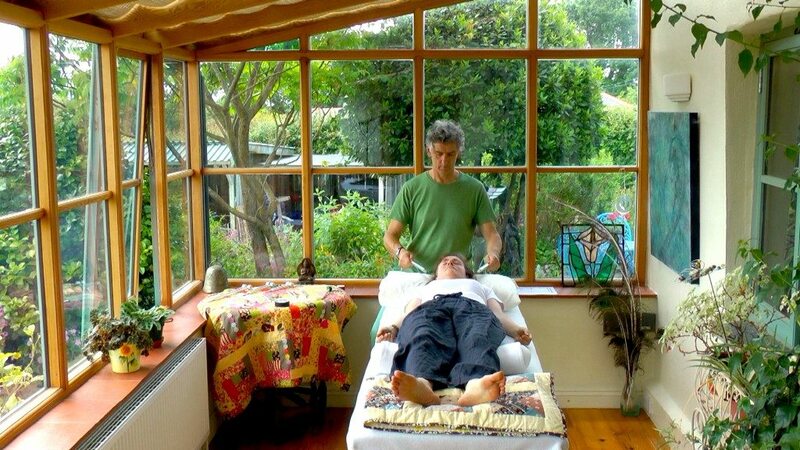 This is an amazing introduction to working with the healing sounds of tuning forks! This course covers working with 3 weighted tuning forks in the OTTO set plus 8 unweighted tuning forks in the Harmonic Spectrum set. You will need these tuning forks to complete the course. You can buy these tuning forks from us at a DISCOUNT PRICE for people on this course. “I have thoroughly enjoyed the course. Very well organised, easily accessible. Good feedback – would definitely recommend. Very informative and in depth. Easy to follow and very thorough. Everything is clearly explained and demonstrated and the great thing is, you can go back and watch as many times as needed. You’ll get immediate access to the learning resources for this class! Since we started sound healing training in 2003, we’ve monitored the effectiveness of the healing process that we teach. Over the past 13 years we’ve analysed thousands of case studies carried out by our students worldwide and we now know what works and what to avoid. We’ve focussed what we know into a unique 10 Step Integral Sound Healing process, and we’ve produced a short video about it, which you can view below. This video is the first part in a series of video tutorials from one Module in our Level 2 Practitioner Diploma in Sound Healing course. This 10 Step Integral Sound Healing process is covered in more depth in our Level 2 Practitioner Diploma courses. The video below dives more deeply into How To Be Successful With Integral Sound Healing. In this video, Tony Nec from the Sound Healing Academy outlines our new on-line course leading to the Level 1 Foundation Certificate in Sound Healing with Tuning Forks. This new course will open for registrations on 31st March 2016. It’s a great course for people who want to learn how to work with tuning forks to help themselves and their family and friends. 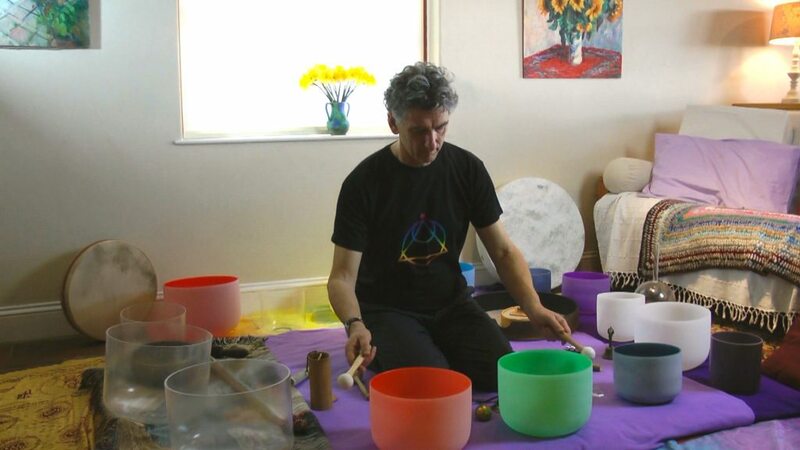 This course is ideal if you want to focus on healing with tuning forks and you’re not so interested in working with other sound healing instruments at this stage in your learning and development. 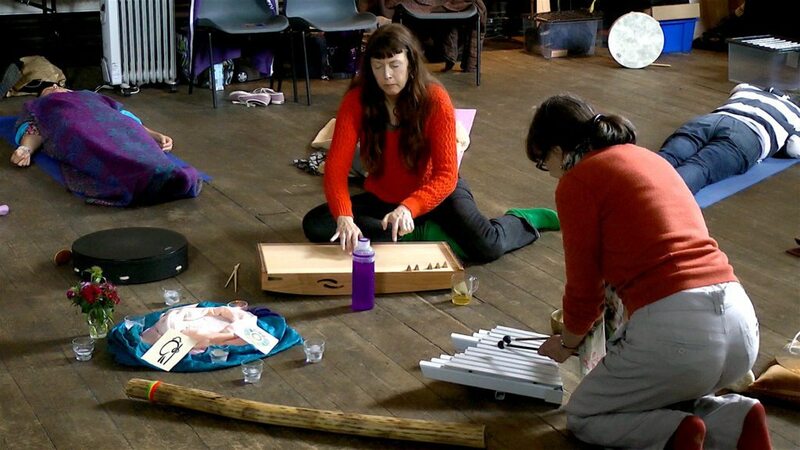 If you’ve already taken a general multi-instrument sound healing course with us, and you want to dive more deeply into working with tuning forks, this course is also good for you…. 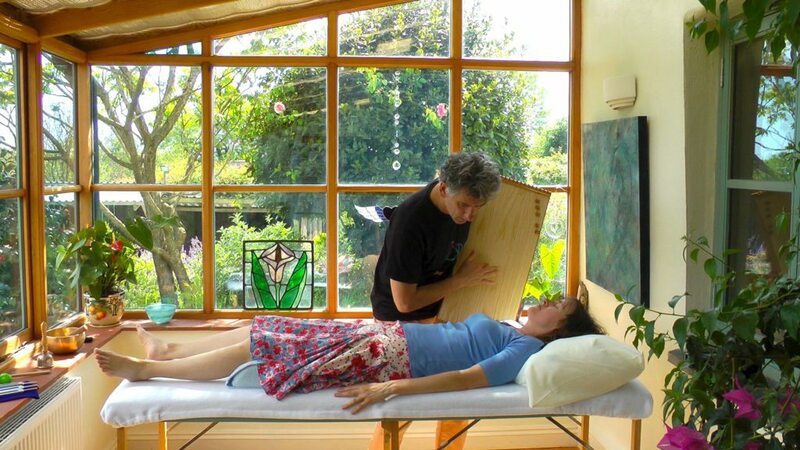 It’s the first level in our training to become a professional sound healing practitioner specialising in tuning forks. 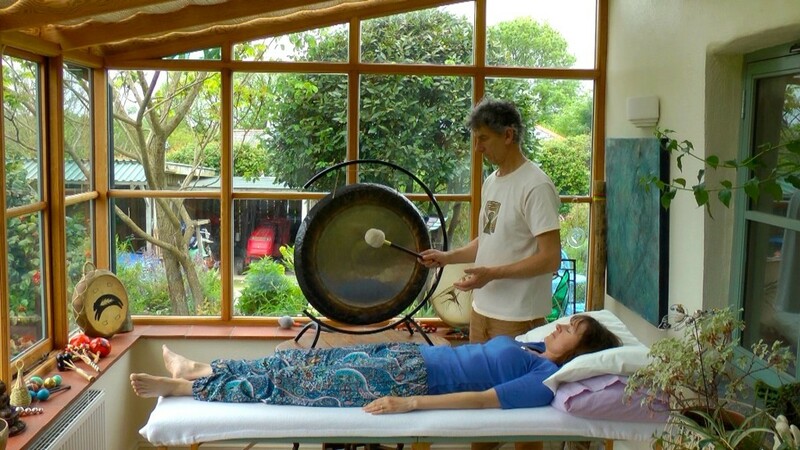 So, after you’ve completed the Level 1 course you can move onto our on-line course: Level 2 Practitioner Diploma in Sound Healing With Tuning Forks!